Q: Where on Maui can you live like you’re on vacation at a world-class luxury resort 365 days a year? A: Well, it just so happens, Maui has five condominium communities in the resorts of Kāʻanapali, Kapalua and Wailea that have received the recognition by Forbes or AAA as leaders in Luxury Lodging. These properties are desirable for many of Maui’s second home Buyers who would like the amenities of a luxury hotel (hello, room service!). For those who are looking for a part-time residence, they offer an added bonus: the ability to rent their residence through an on-site rental management program known for offering accommodations that are maintained to the exacting standards of a luxury brand. Hoʻolei is unique in that this stand-alone condominium community was built after the Grand Wailea, and a rental program was developed which provided the popular hotel resort with a three-bedroom option for large parties or families. There are 120 townhomes situated on approximately 30 acres, located directly across the street from the Grand Wailea. Awards: as Wailea Beach Villas aren’t technically a hotel, they aren’t evaluated under traditional rating systems. However, this resort receives high ratings for luxury service and its amenities from reviewers at lauded travel publications, Condé Nast Traveler and Trave+Leisure. Wailea Amenities: Beaches, dining, golf, shopping, spas, tennis. The open-air Shops at Wailea features one of my favorite places to grab a bite (a few of my go-to favorites: the Spicy Beef Salad at the gastropub Pint & Cork; Shrimp Longhi at Longhi’s; Ahi Tuna Tacos or Ahi Poke Napolean at Tommy Bahama’s), shop for clothes, or buy unique gifts (I always find something I love Sand People and Soha Living). Perhaps my personal favorite of all of the residential offerings at Luxury Condominiums, the Montage Kapalua Bay is comprised of 84 whole ownership Grand Residences situated overlooking Kapalua Bay. Owners love having a dedicated team of Residential Liaisons that are there to assist with making ownership of a residence a worry-free experience, assisting with the day to day of receiving packages and coordinating repairs, to preparing for arrival and helping with departures. The Forbes 5-Star property is home to the Kapalua Wine and Food Festival’s opening event, and is a popular destination for those playing in the PGA Tour’s Tournament of Champions. Amenities Onsite: Forbes 4-Star award-winners Cane &amp; Canoe and Spa Montage Kapalua Bay, market, beach club, residential liaisons, concierge, porter/bellman, valet and self-parking, storage, garage parking for grand residences in Buildings 1, 2 and 5. In 2007, the Ritz-Carlton Kapalua underwent a spectacular renovation, turning the Honolua wing into 107 privately held one and two bedroom condominium residences. The Ritz-Carlton is synonymous with luxury service and the brand has extended this to luxury residences throughout the world. Each Year, the Ritz-Carlton Kapalua is host to the popular Seafood Festival, the closing event of the Kapalua Wine and Food Festival. 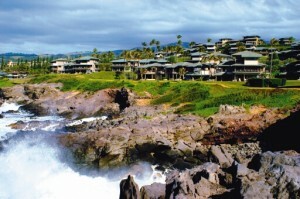 Kapalua Amenities: beaches, dining, golf, shopping, spas, tennis. Kapalua is a 1650 acre master-planned community set within 22,000 acres extending from the ocean to the Puʻu Kukui watershed. What I love about Kapalua is that it is surrounded by natural beauty, most of the surrounding area is in conservation, including the 45-acre marine preserve of Honolua and Mokuleia Bays. Less explored but incredibly beautiful are Kapalua’s hiking and walking trails. The resort has a feeling of peacefulness, yet is populated by award-winning restaurants such as Sansei and Merriman’s. Owners in Kapalua may join the Kapalua Club, which provides special access to the Beach Club at Montage Kapalua Bay and the Spa Montage, the Bay and Plantation Golf Courses, and the Kapalua Tennis Gardens. Located on the beach just North of the Kāʻanapali Resort, Honua Kai has been a popular vacation destination since sales began in 2008. 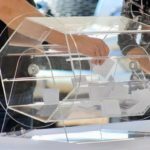 With 627 condominium residences, this is the largest of the developments on this list. Unlike the other 4 and 5-Diamond properties, the Honua Kai offers smaller residences including studios and one-bedroom floor plans, for those who want to have the experience of staying at a luxury hotel, but also want to make the purchase a smaller commitment in their real estate portfolio. Amenities at the Honua Kai: adult and family pools, hot tubs, BBQ Grills, Bar and Lounge, fitness center, ʻĀina Gourmet Market, elevators, valet and self-parking, concierge, porter/bellhop, Hoʻola Spa and Duke’s Restaurant (this is a great place to whale watch as you take in the sunset). 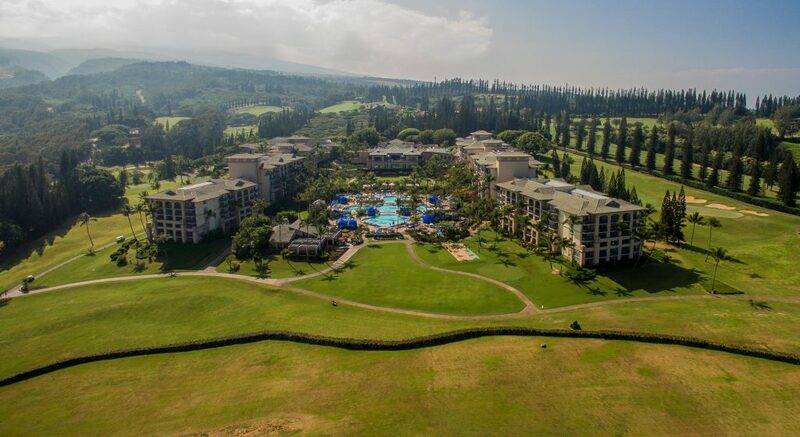 Kāʻanapali Amenities: Beaches, dining, golf, shopping, spas, tennis. Kāʻanapali’s three-mile stretch of beach that has been awarded the accolade “America’s Best Beach” by Dr. Beach and Kekaʻa Beach, on the North Side of Black Rock, is a local favorite to the North. In addition to its popular beaches, golf, and tennis, Kāʻanapali is home to Whaler’s Village, a popular oceanfront shopping center. Whaler’s Village is home to several of Maui’s most popular sit-down restaurants, including Hula Grill (tip–there are two menus at Hula Grill–the dining menu and the barefoot bar menu. If you eat at the kitchen bar or the bar, you can order from both menus), Leilani’s (known for its fish tacos), Monkeypod Kitchen, as well as local favorites Joey’s Kitchen and Choice Health Bar (my favorite salad on Maui is their Ceasar Salad). Shops include Tommy Bahama’s, Sephora, many local surf and clothing stores and much more. Courtney M. Brown is a contributing writer to Maui Now. Courtney's family first came to Oahu in the mid 1800's, later relocating to Maui. She was born here on Maui, and grew up in the small Upcountry town of Makawao. Named Realtor of the Year in 2014 by the Realtor's Association of Maui, Courtney is realtor with Island Sotheby's International Realty. 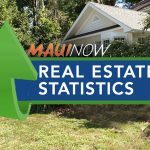 She works with both buyers and Sellers of Maui Real Estate, with a focus on making the process easy and hassle free. Her passion is helping her clients fulfill their lifelong dreams of finding their own home in paradise.